This winter might be bringing you a sun lounger by a glittering swimming pool, or a bracing dip in the sea on New Year’s Day. Swimming is wonderful for a bit of splashing and sliding, but if you stop to think about it, swimming pools use a lot of energy. There’s keeping the pool warm all day, cleaning and treating the water, making sure the changing rooms are warm and there’s hot water for the showers... the list goes on. So it’s no wonder swimming pools are looking for ways to make sure that the energy they use is clean. And they’re definitely not splashing about in the shallows. Here are five of the most creative, coolest and cleverest. Aspirant Dunand pool, in the south of Paris, is kept warm by sewage. Not people peeing in the pool - that wouldn’t exactly be clean energy. Instead they’ve installed a heat pump that recaptures heat from the wastewater in Paris’ sewers. Water from sinks and showers that gets tipped down the drain can be as warm as 20 degrees celsius. So the tech, installed at the pool this autumn, captures the heat using metal plates in the sewage pipes, and then transfers it to the pool with a heat pump. And this isn’t just for swimming pools - the company behind it has already installed the same tech in schools, flats and offices around France. 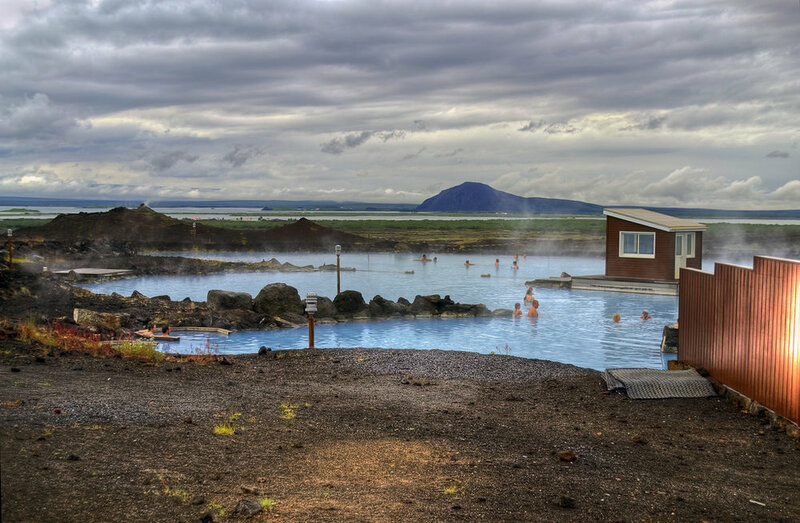 In Iceland, two-thirds of energy comes from geothermal power - including their electricity, heating and transport. Their outdoor swimming pools are heated by the Earth, too, from the teeny rock pools you can dangle your feet in, to bigger pools with water slides. Locals go to the pools on their way to and from work to have a swim and chat to friends. Depending on geothermic activity, the outdoor pools tend to warm up to 36-40 degrees! Probably not ideal for training for an Olympic gold, but quite nice for a dip in a hot tub. Harry’s Hydrotherapy pool in Frome, Somerset, offers pain relief and therapy to people with physical or learning difficulties. To benefit the pool users most, the water needs to be heated to 34.5C and the air to 25C, using up plenty of energy and cash. So last December Harry’s Hydro installed over 30 solar panels on their roof. The money they’re saving on their electricity bills means they have been able to extend their opening hours, and pay for another hydrotherapist to lead a regular session for children. The next time you’re surfing the web, you could be heating the swimming pool in Butte aux Cailles, Paris. Data centres, which store data and host websites, produce absolutely loads of heat, and making sure they don’t overheat takes up loads of energy. So the swimming pool teamed up with a data centre company to use that heat for their pool. They now store the servers in their basement, which are connected to a clever boiler that extracts the heat and uses it to warm the swimming pool. Together they’ll save four tonnes of CO2 every year. Barcelona gets 2,591 hours of sunshine a year (London gets *cough*… less). So they might as well use make the most of it! In 2000, Barcelona went straight in at the deep end by becoming the first city in Europe to require all swimming pools to be 100% heated by solar thermal. It was part of their big plan for new or renovated buildings to have at least 60% of their hot water heated by solar. Since the law came into force, solar thermal installations have gone up 4000%. It’s worked so well that 70 municipalities in Spain are following their lead.